First and foremost, our pastor has a love for God. Our pastor is truly a man of God. He's loving,compassionate and caring who always puts the needs of the flock before his. He loves you enough to tell you the truth. He does not sugar coat anything. He is one of the best preacher, teachers around. We thank God for blessing us with a wonderful under-shepherd. 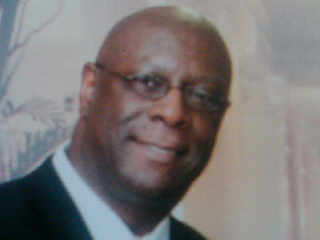 I THANK GOD FOR MY PASTOR, TEACHER, FATHER IN THE MINISTRY,AND FRIEND. THANK YOU FOR PREACHING, TEACHING AND GIVING ME THE WORD ALWAYS. UNDER YOUR LEADERSHIP I HAVE GROWN TO LOVE AND APPRECIATE THE WORD OF GOD MORE. THANK YOU FOR ALWAYS BEING WHOM GOD DESIGN YOU TO BE!!! MY PASTOR!! I LOVE YOU!! AGAPE! !